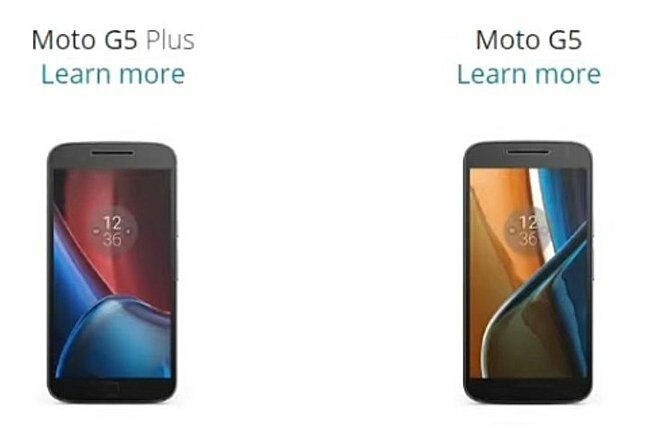 Images purported to be of the Motorola Moto G5 and G5 Plus have leaked online. The leak comes in the form of what looks like a screenshot that focuses on the front of the smartphones. The leak also reveals some of the key specs of the devices - both are powered by octa-core processors, sport 5.5-inch full HD displays, feature 5MP front camera, and come with turbo charging feature. 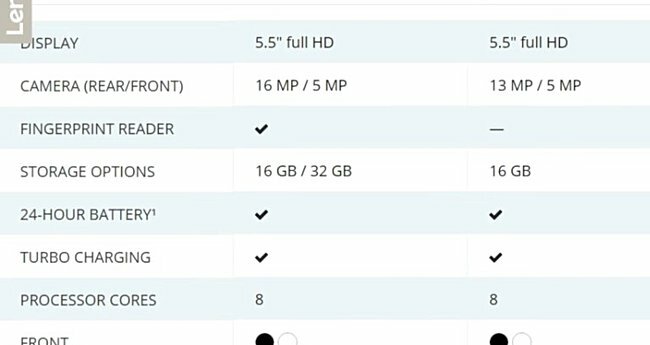 The areas of difference include main camera (13MP for the G5 and 16MP for the G5 Plus) and storage options (16GB for the G5 and 16/32GB for the Plus variant). Fingerprint sensor is only there on the G5 Plus. The launch date for both phones is said to be March 8, although which market will get them first wasn't revealed. Needless to say, none of this has been officially confirmed, so take it with a healthy dose of salt.